What was the impact of the Second Air Division in East Anglia during the Second World War? This resource enables pupils to find out about the history of the 2nd Air Division, United States 8th Army Air Force in East Anglia during the Second World War, and the impact this ‘friendly invasion’ had on local people and communities. 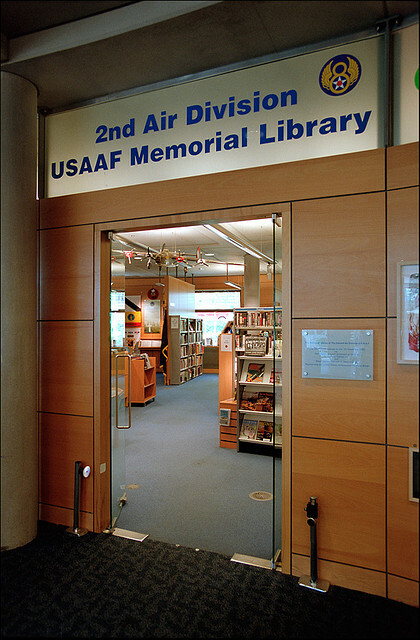 It uses documents and artefacts from the 2nd Air Division Memorial Library and Archive, along with additional material to look into the aeroplanes and equipment, places the American servicemen visited and where they worked, missions and incidents that occurred during the war and the differences in culture and relationships between the American servicemen and local residents. Available online here. This resource was designed in consultation with Alex Minns, and uses material found within the archive collections of the 2nd Air Division Memorial Library held at the Norfolk Record Office to accompany the Key Stage 2 and science curriculum. The pack contains four sections: 1) How do our lungs work? 2) What do we use oxygen for? 3) How does the heart work? And 4) How do our eardrums work? The resource be downloaded here. Whether you are the leader of a youth group, or looking for something to do with the kids at home, why not try one of our free innovative and exciting activities for children and young people? Run a drama activity in which children become B-24 Liberator airmen and join the Ploesti mission of August 1943. Available online here. Create a Caterpillar or Goldfish Club badge and receive a club membership certificate, or create a design for your own club. Available online here. Find out about silk escape maps and how they were used by British and American aircrews to evade capture during WWII. Create your own, taking inspiration from archives of the 2nd Air Division United States 8th Army Air Force. Available online here. Find out about ‘aircraft nose-art’ and create your own design, taking inspiration from historical photographs of the aeroplanes of the 2nd Air Division United States 8th Army Air Force. Available online here.